Are you looking for the best Wordpress themes? Read this article to know about the best Wordpress themes for your traveling business. It will help you to explore the business into another level. Traveling is a huge life experience for all and everyone. New countries, cities, mentality, traditions, and even food. All these bring us tons of expressions. In fact, traveling is not only a visiting new place these days. It is also a whole niche for business owners. Booking services, travel guides, hotels, and voyage agencies are really popular in our modern society. Thanks to a rich choice of travel blogs we can get to know which country to choose for the next vacation. Thus, it is very useful for both sides: business owners and travelers. In addition, you can't deny the fact that the first place of searching this or that services is the Internet. It is a marvelous space where modern people can find everything in an online mode. Keeping that fact in mind, there is one more fact: no website - no profit. Believe it or not, but having a site that will represent your business (whatever it is) is crucial to your success. To say more, it is really easy to realize it nowadays. There are a lot of ready-made website templates that allow you to launch your own site by means of a few clicks. To say more, our favorite CMS is WordPress. Believe it or not, but WordPress themes are the best choice for every entrepreneur. These themes are the most user-friendly and pre-loaded with a rich choice of first-class tools, features, and options. Additionally, you can find a whole bunch of travel WordPress themes that will help you to create a professional presentation of your biz. 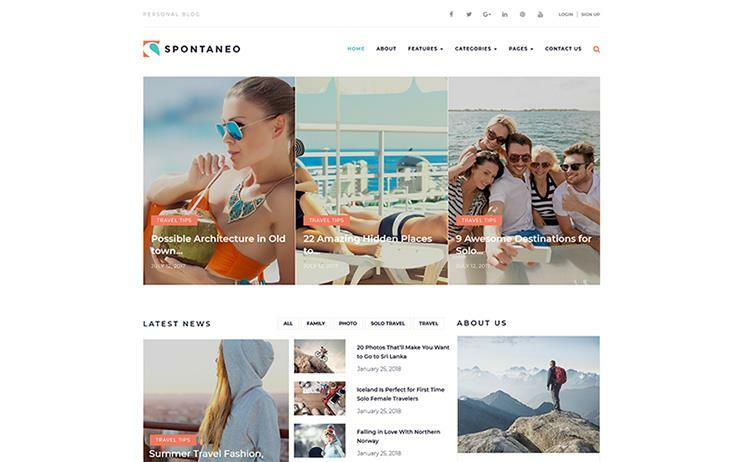 If you need an eye-catchy WordPress theme to spice up your travel company, then Travellino is your cup of tea. 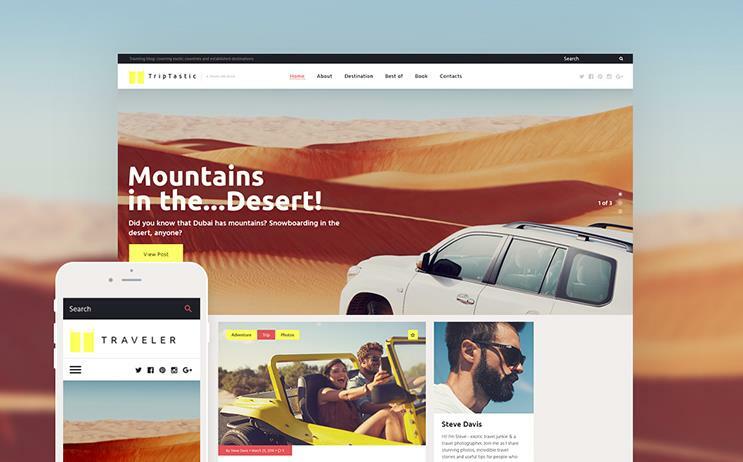 Travellino is a high-quality theme with the whole bunch of top-class features. Its stylish design will capture the audience, while tons of modern features allow you to improve the functionality of your website. No doubts, this theme is worth your attention, thus, jump into the demo mode to feel all features. 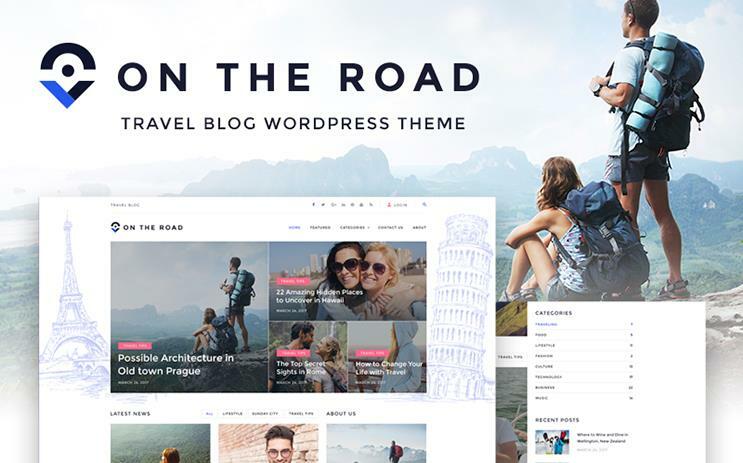 On The Road is a mobile-friendly WordPress theme that has a great potential to make your travel blog one of the best in the niche. Its nature is fully editable, thus, it will take you no effort to customize it up your tastes. For example, a wide range of Google fonts allows you to emphasize the content in your personal creative manner. 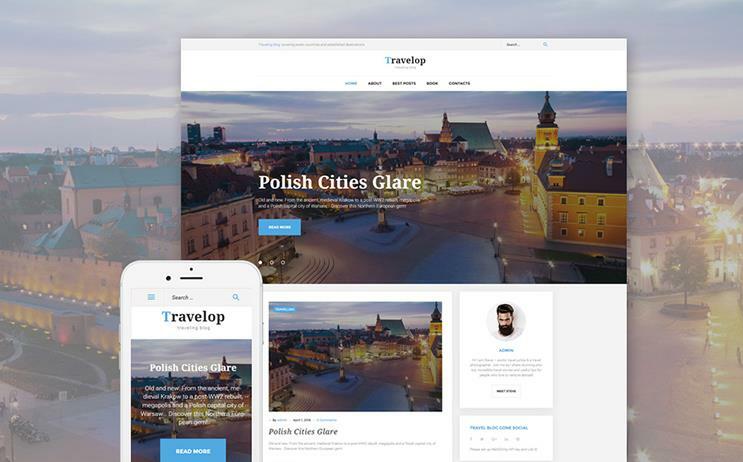 Travelop is that type of WordPress themes which will impress you from all the sides. The theme has a breathtaking design, fully customizable inside, and great functionality. Additionally, once your blog is ready to go live, visitors can easily tell the whole world about it thanks to a social integration. Also, in case of any further questions, customers can always get in contact with your team or with you personally thanks to a contact form. To be the greatest it is necessary to use the greatest tools. 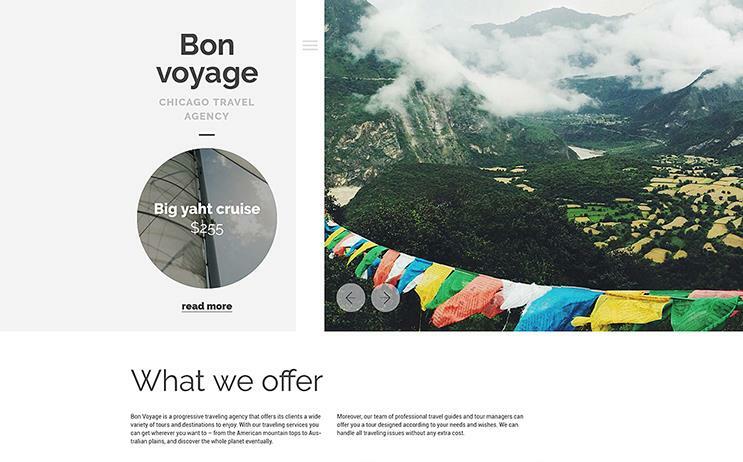 No doubts, this WordPress theme is a guru in the niche of travel blogging. Thus, if you want to stand out with your own travel blog, this theme is your meal ticket. There are a great design and modern functionality combined together to help you to build a travel blog that converts. If you need a multifunctional and multipurpose solution for your blogging career or, even, personal portfolio, then Ramsay is just what you need. 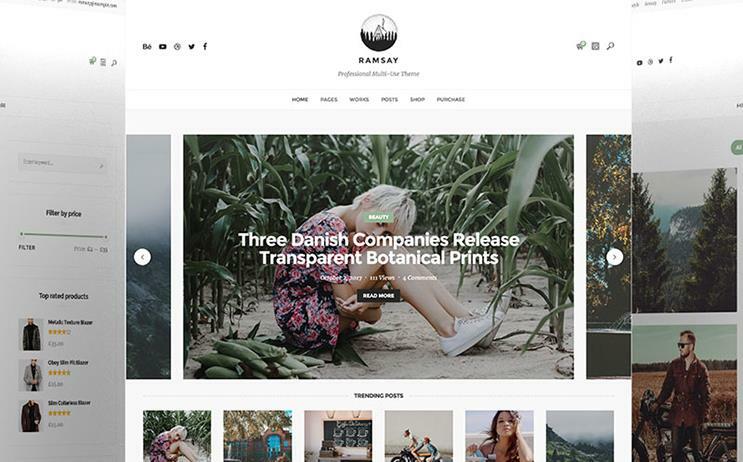 Ramsay is a great WordPress theme with an easy installation and an intuitive customization processes. Whether you are a photographer, freelancer, or handle an agency, this theme will fit your purposes and expectations. Gal Walking is a tender WordPress theme that will emphasize women's nature while blogging. It has a clean design, which allows you not to overload visitors with an unnecessary info and design elements. In addition, all the installation and customization process will take you no longer than two days. And you are ready to go with your stunning travel blog! 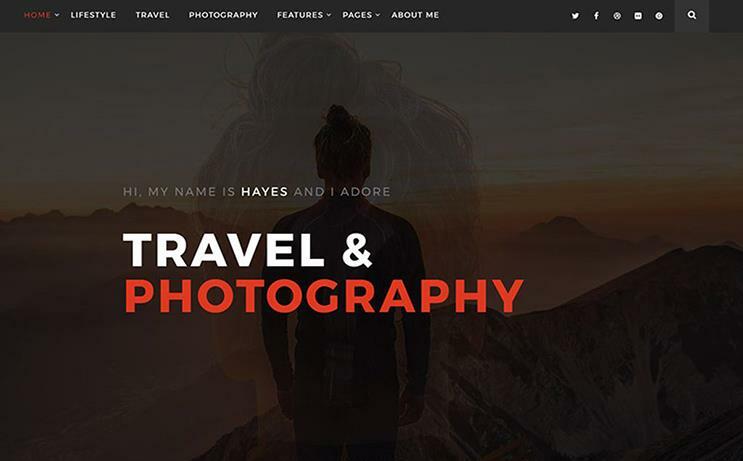 Hayes is a travel and photography WordPress theme that allows you to share the whole story with the readers. It has an elegant design and a wide range of social options. Moreover, the theme is mostly designed in a minimalist manner, which will help you to emphasize the content, your projects, the best works, top stories, etc. The theme is simply awesome. In fact, it is also licensed under GPL 3! Therefore, you are welcome to use this one single WordPress theme for various projects with no need to pay more. By the way, the theme also comes with an Ecwid Ready nature, which means that you can add an online store to your site within 5 minutes. Spoiling, there is also no need to pay extra for this feature. Not sure what niche to choose? 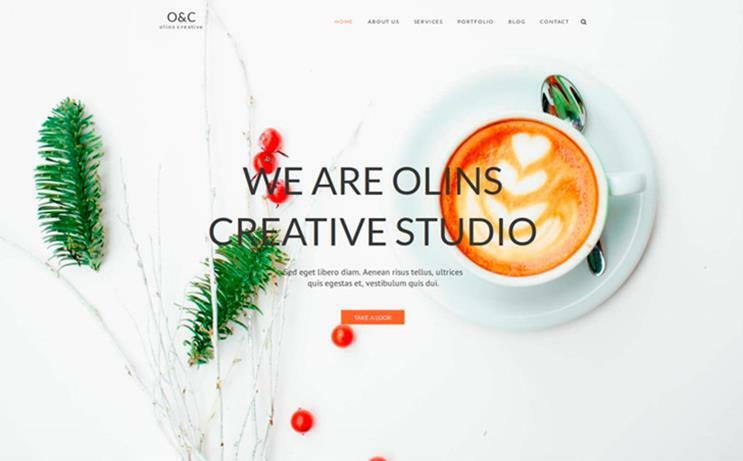 Well, take a look at this multipurpose WordPress theme that allows you to stand out in any type of business. The theme has a flexible nature, which allows you to customize the theme up to your goals. To say more, its stunning design and a great functionality will help you to create a professional presentation of your entrepreneurship. The theme has a great minimalist design that is able to highlight your thoughts, projects, style, and manner. You can easily personalize this theme thanks to its fully customizable nature, a wide range of top-class features, and a rich choice of Google fonts. 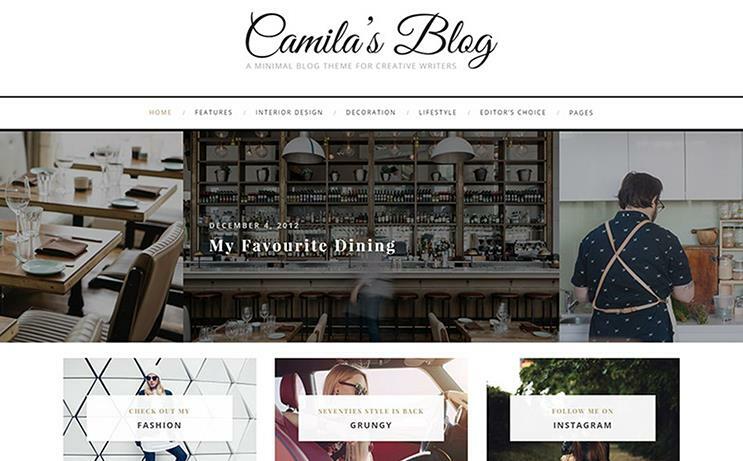 Take advantage of this theme to create a personal blog that will capture your audience. 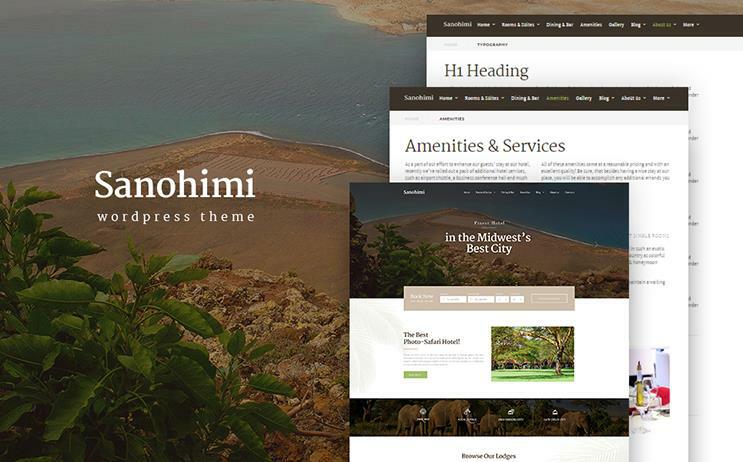 There is nothing better than this WordPress theme to showcase your exotic hotels. Sanohimi is a marvelous theme with an advanced functionality, stylish gallery, and an easy customization process. Using this theme you can easily upgrade your biz and take your income rates to the whole another level. Would you like to take your accommodation services to the whole another level? 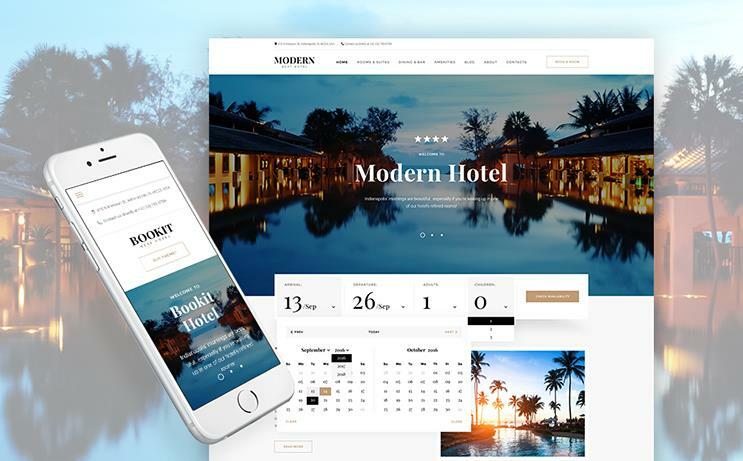 If so, then take a closer look at this captivating small hotels WordPress theme with an SEO optimization, clean code, and whole bunch of other tools, features, and options. Despite the fact that this theme is high-functional and pre-loaded with a wide range of top-class features, it is really easy to use. Therefore, you can build a high-quality and an eye-catchy website without any programming skills or knowledge. 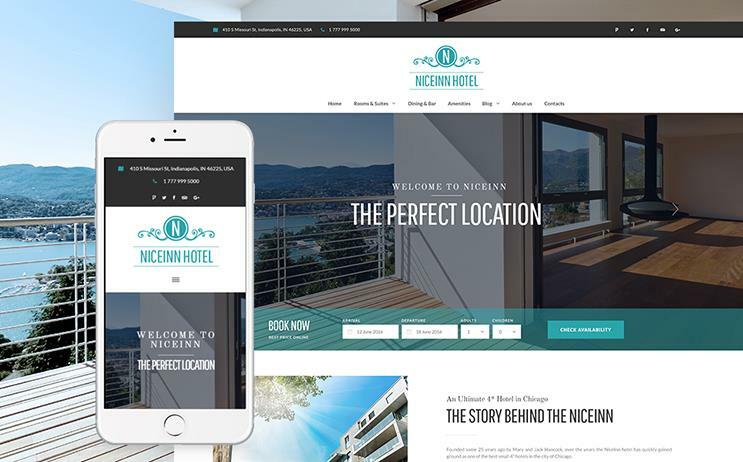 Nicelnn is a great WordPress theme to promote your small hotel/s. Thanks to a website slider you can highlight premium services and top accommodations at a glance. To say more, the design is elegant and will capture the audience at the twinkle of an eye. Need to upgrade your travel agency? Easy target for this voyage WordPress theme! It is pre-loaded with tons of tools to create a high-functional and personalized website that will represent your biz from the best side. Moreover, in case of any additional questions or an urgent need to visit your office clients can check your office's location thanks to a Google map feature. xPression is a minimalist blog WordPress theme with a clean and elegant design. 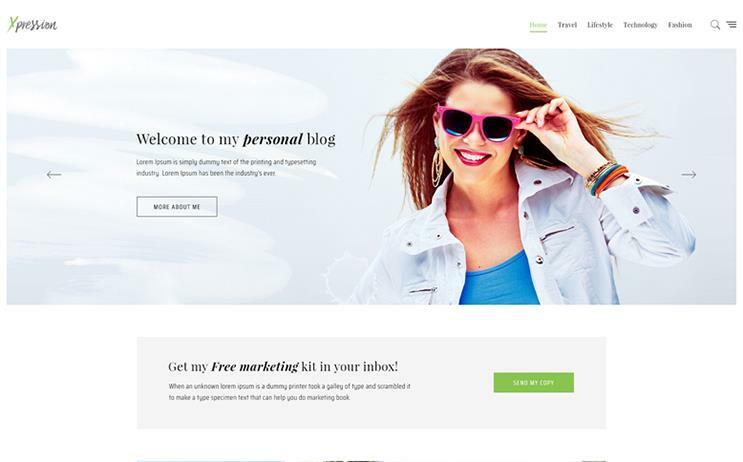 Using this theme you can easily stand out with any type of blog. Either it is a travel, personal, or fashion blog, here you have all the features to build a great website. In fact, traveling is a great type of business that will give you and your clients lots of positive expressions. To say more, it is really easy to launch your own personal travel blog or any other traveling-related website. 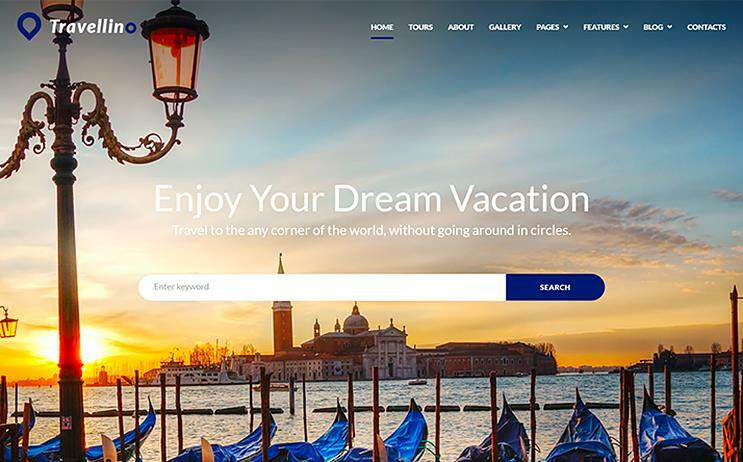 Thanks to these 15 best travel WordPress themes you are very welcome to create a website of your dreams. Good luck to you!